The new Universal Studios comedy, “Little”, reminds some of us that wishing we could “go back to childhood” should remain both a mere and fleeting thought. Four years ago, “black-ish” star Marsai Martin pitched the idea of the film to Universal Studios, and evidently, her vision came to fruition. 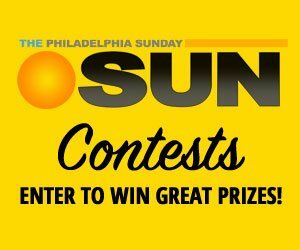 The creation of “Little” has made Marsai the youngest-ever executive producer on a big-budget film, which is why I said yes without hesitation when SUN editor, Teresa Emerson, contacted me to attend the April 4 screening in Philadelphia. I wasn’t sure what to expect from the movie, but the majority Black cast, paired with the aforementioned and a vibrant trailer, was enough to peak my interest. 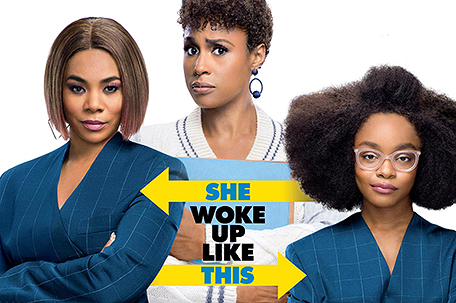 The movie explores the life of Jordan Sanders (played by the incomparable Regina Hall), a brazenly callous tech executive/boss who treats everyone, including her assistant and only friend, April (Issa Rae), poorly. However, one day Jordan upsets a little girl with Black girl magic (so cute!! ), and the next day wakes up as a little girl again (played by Marsai Martin herself). The transformation forces Jordan to relive her worst years and we’re able to see the reason why she’s so hostile in the present. Hurt people, hurt people. Aside from the obvious, “Little” has a myriad of story tropes and life-lessons. My favorite being the exploration of the Black woman’s reality in a White male-dominated society as that’s not something we’re often afforded to see. The movie takes a few short and perhaps subtle moments to explore some of the microaggressions that many people of color have faced at the hands of White people, which is again, something we do not see often, at least not from the Black woman’s perspective. Similarly, I believe that the common use of Black colloquialisms throughout the movie have been placed so eloquently as to normalize Black speech and dismantle the negative stereotypes that so many have associated with slang. The costume design and the soundtrack do a great job at aiding in the flow of the story. Jordan’s outfits always scream “I’m here!” while April’s always whisper, “I’m over here, but I’m a shadow.” Both themes are touched on in the film and are meant to show us that sometimes what we need is the opposite of what we have. “Little”, though monumental and very cute, does have its flaws. As I mentioned before, there are many things to unpack if you pay attention the subplots (and I will not spoil the movie for you) but on a surface level, the movie is neither good nor bad, it’s just very… cute. I personally felt that there isn’t a concrete climax to be felt. I’m not sure if it’s because the outcome is predictable or if it’s because a little too much was packed into the hour and 49 minutes of run-time, but in all fairness, this was Martin’s first movie and she’s only 14, so for that I give it two thumbs up. I have a lot of respect for both Marsai Martin and Universal Studios for taking a chance of encouraging and normalizing diversity in popular films. That being said, I definitely recommend seeing “Little” with your friends and/or family, because it really is a cute film. Not only are you given the chance to see three noteworthy Black female leads being the bosses they are, Martin also inspires us to remember that just because you may be or feel little, doesn’t mean that you can’t dream big.